Nice and spacious maisonnette, very clean, peaceful. Helpful staff. Nice location, close to the beach, next to two supermarkets and a bike rental. Not to far from Poros town neither. Very nice swimming pool even though we were not able to use it due to the time of our stay (very beginning of april, the water was too cold). Very good value. Fantastic room. Clean, with a balcony, and a wonderful pool. Kostis Villa was the perfect place to spend lazy vacations. Our Room was very comfortable and spacious with small kitchenette, bathroom and balcony. We could also enjoy swimming pool. On the same street there are two supermarkets and within 10 minutes you reach the beach. Owner and service were very friendly and discrete. What else can you ask for? Super clean room - cleaned daily! Immaculately clean pool with enough sun loungers. Close to walk to supermarket, to local beach & restaurants. When we needed a taxi to get to the port area George was a great help & went above & beyond to always help whatever you needed. It’s very quiet which we were glad about as just wanted to relax but wouldn’t suggest it’s the place to go if you wanted there to be a lot going on / music playing etc. Our apartment was spotlessly clean as was the entire complex. The owner and staff were very hard working and very friendly. He even helped arrange taxi to the local and fantastic full moon piano concert for us. We really enjoyed our stay. The whole atmosphere was great! The staff was very friendly and helpful. Honestly you had the feeling that you were at home. The perfect location! One min walk from the beach, close to supermakets, cafes and restaurants! The room was spacious, clean and quiet! And the bed was really comfortable, with two really soft and fluffy pillows! The staff is truly amazing; very kind host and really sweet and kind housekeepers! Next time I visit Poros I’ll definitely go back to Kostis! 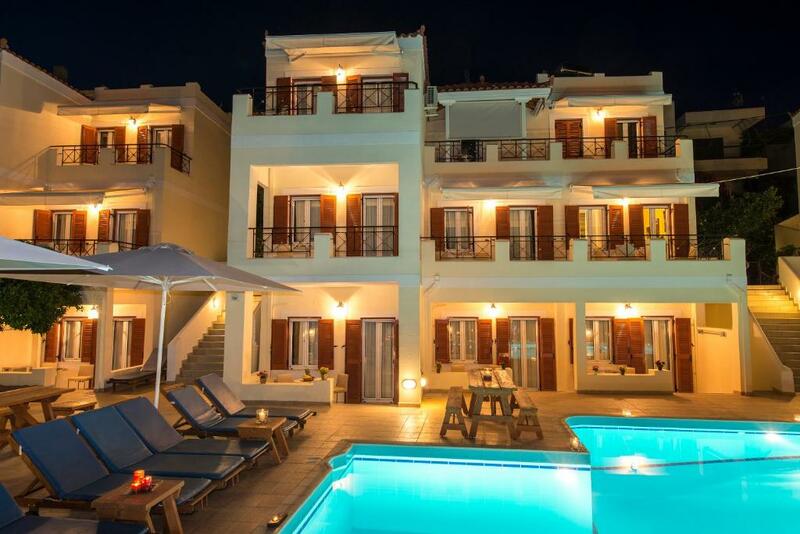 Lock in a great price for Kostis Villas – rated 9.3 by recent guests! 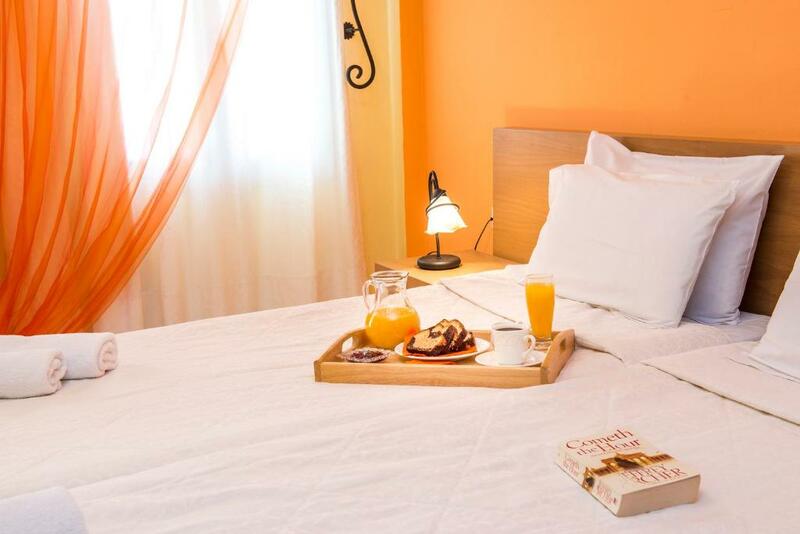 One of our top picks in Poros.Within 500 feet from the beach, in Askeli, Kostis Villas is set amid a green-covered area of lemon and orange trees. 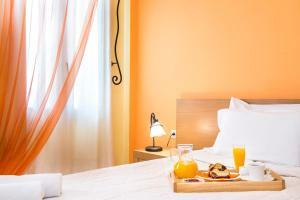 It offers self-catering accommodations with a balcony overlooking the mountain, pool or Saronic Gulf. 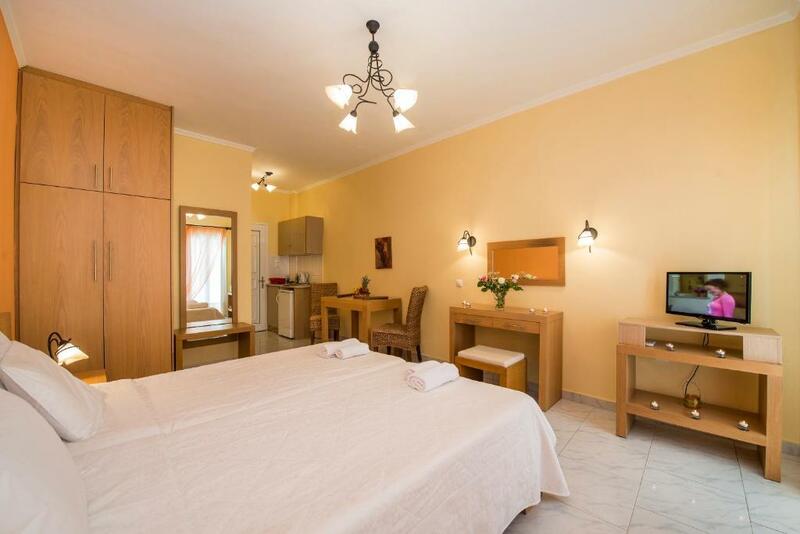 Kostis studios and apartments are spacious and air conditioned, each with a well-equipped kitchenette where guests can prepare their own meals. They also include a satellite TV, safety box and a private bathroom with free toiletries. A hairdryer may be provided upon request. Guests can spend relaxing moments at the swimming pool area which offers sun beds and umbrellas and has a lifeguard. They can also benefit from free Wi-Fi access throughout the property. 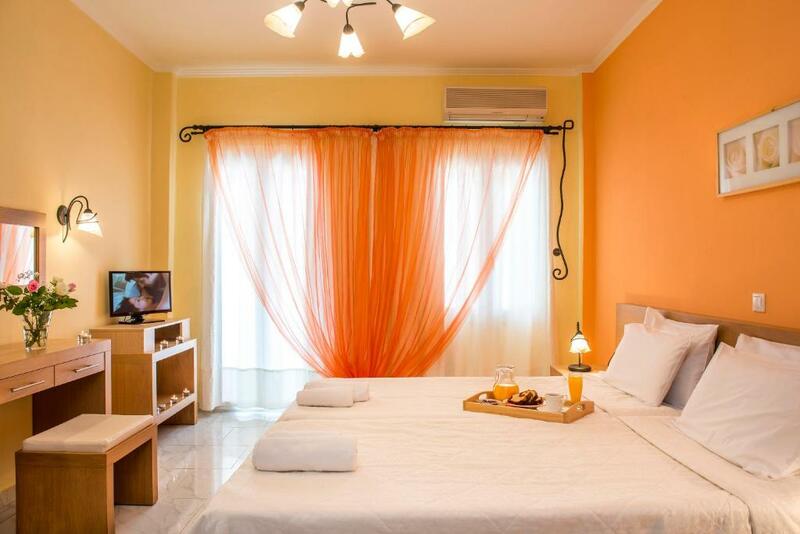 Just a short walk away from Kostis Villas, there are super markets and seaside restaurants serving fresh fish. The port of Poros is within 1.2 mi. Free private parking is available on site. 뀐 Located in the top-rated area in Poros, this property has an excellent location score of 9.0! When would you like to stay at Kostis Villas? -hairdryer upon request and subject to availability. Change of towels and linen happens every 3 days. Kindly note that this type of room cannot accommodate more than 2 people or an extra bed. This 2-story apartment has an open plan, fully equipped kitchen with a seating area, on the ground floor. A staircase leads to the bedroom and bathroom with the shower cabin. A hairdryer may be provided upon request and is subject to availability. Please note that this room can accommodate up to 3 guests and is fitted with 1 double bed or 2 single beds and 1 extra bed. A hairdryer may be provided upon request and is subject to availability. This apartment has a balcony, air conditioning and soundproofing. A hairdryer may be provided upon request and is subject to availability. Kindly note that this type of room cannot accommodate more than 2 people. Βρίσκεται στο ωραιότερο σημείο στο Ασκέλι του Πόρου παρέχοντας στον επισκέπτη εύκολη πρόσβαση σε καταστήματα για όλες τις ανάγκες του και στην καλύτερη οργανωμένη παραλία του νησιού. Η ξεχωριστή αρχιτεκτονική της ξενοδοχειακής μονάδας θυμίζει ξεκάθαρα νησιώτικο τοπίο που αξίζει κανείς να επισκεφτεί. Η άνεση του εξωτερικού χώρου σε συνδυασμό, με την όμορφη πισίνα μας και των ευρύχωρων δωματίων συνθέτουν εικόνα ομορφιάς ξεκούρασης και ανεμελιάς..
Είμαστε ζευγάρι στη ζωή στο ομορφότερο νησί του Αργοσαρωνικού τον Πόρο. Όλες οι μέρες κυλούν με χαμόγελο αφού η διάθεση και η πρόθεση μας έχει θετικό πρόσημο. Μας αρέσει η φυσική ομορφιά του τόπου μας, τα αξιοθέατα και οι δραστηριότητες που υπάρχουν όπως το ποδήλατο, το κολύμπι και ο περίπατος όπου είναι αναπόσπαστο κομμάτι του εαυτού μας . Η γειτονιά μας πλαισιώνεται από πολύχρωμα λουλούδια γεμάτα ξεχωριστές μυρωδιές και καρποφόρα δέντρα και όλα αυτά μια ανάσα από το πευκόφυτο δάσος μας. Ολιγόλεπτος πρωινός και απογευματινός περίπατος είναι με προορισμό το μοναστήρι της Ζωοδόχου Πηγής έχοντας μακρά ιστορία στο πέρασμα των χρόνων, μπορεί να απολαύσει κανείς τον καφέ του κάτω από πανύψηλα πλατάνια με τρεχούμενη πηγή του Μοναστηρίου. House Rules Kostis Villas takes special requests – add in the next step! 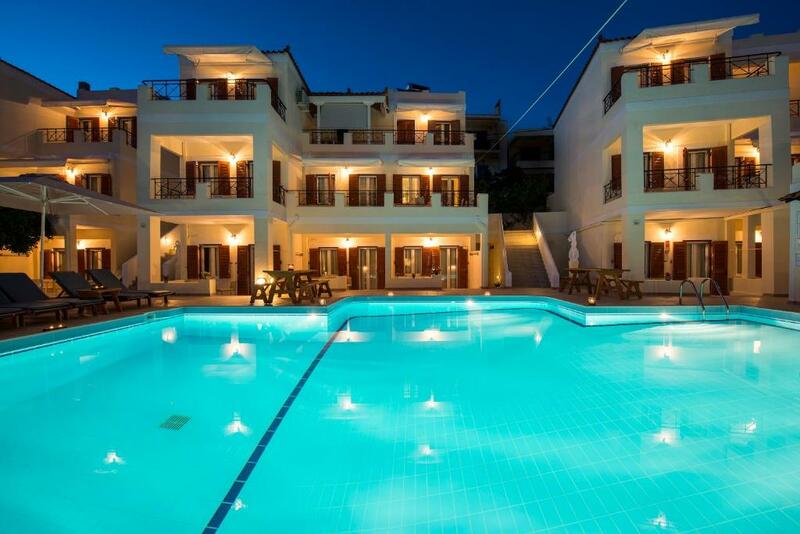 Kostis Villas accepts these cards and reserves the right to temporarily hold an amount prior to arrival. Please note that the reception is daily open from 10:00 till 12:00. Kindly note that there are no extra beds available and children can be accommodated in existing beds as per policy, upon availability. Guests are kindly requested to confirm availability in advance with property. Please note that guests under 18 years old are not allowed to check in unless accompanied by an adult. Please note that bed linen and towels are changed once every 3 days. Kindly note that the pool operates at specific periods and times. Kindly note that a hairdryer is subject to availability. Please inform Kostis Villas of your expected arrival time in advance. You can use the Special Requests box when booking, or contact the property directly using the contact details in your confirmation. Nice pool and perfect room ! There wasn't one thing we didn't like about Kostis villas. Absolutely nothing! I highly recommend Kostis! Great hotel! Very clean (inside the rooms, swimming pool and yard), super well located with very helpful staff support onsite! Hotel located in just 100 steps from the beach and dozens restaratunts, near by you can find two big stores, and also bike rental station just opposite the hotel. We have been driving one day to Love bay or Russian bay (very good grill here), another day to Sirene beach hotel, and evenings we have spent in city center for walking, dining and little shopping. I truly recommend this hotel for stay on Poros! 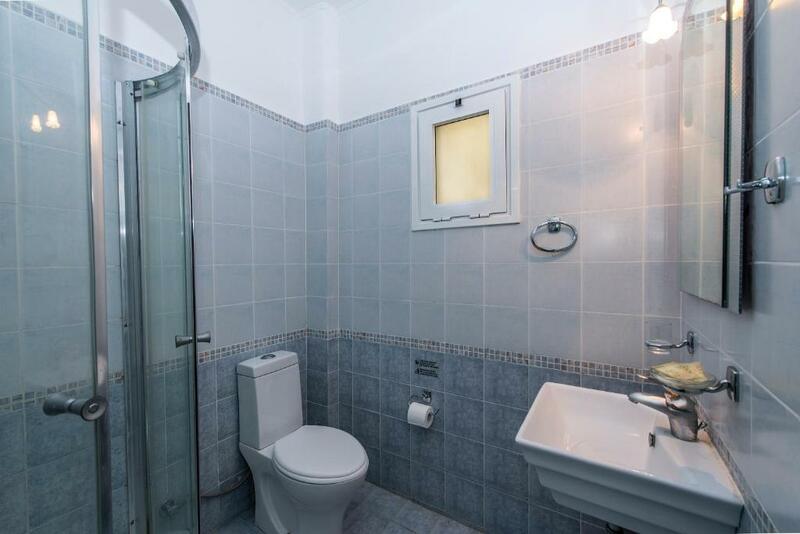 Bathroom is a little small ,it has a bath, might be better being upgraded to a walk- in shower. The pool is closed between 3-5pm, it did not worrry us and was nice to have a quiet time. Nothing to dislike if you want a quiet stay with easy walking to restaurants etc. Friendly, helpful staff, spotlessly clean, quiet, location close to sea front, shops and retaurants.